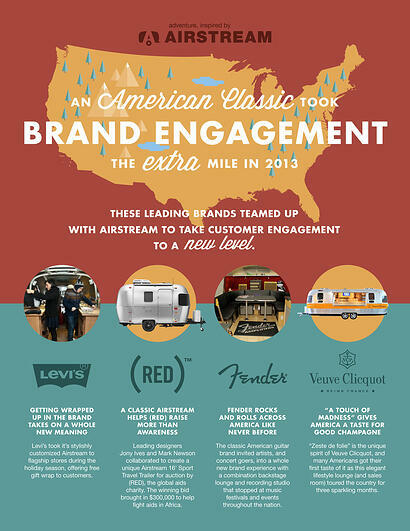 In 2013, chances are you probably saw an iconic Airstream travel trailer somewhere other than in a campground. That’s because the “silver bullet” trailers are becoming more popular with brands across the world using the functional and recognizable shape to activate innovative marketing campaigns. 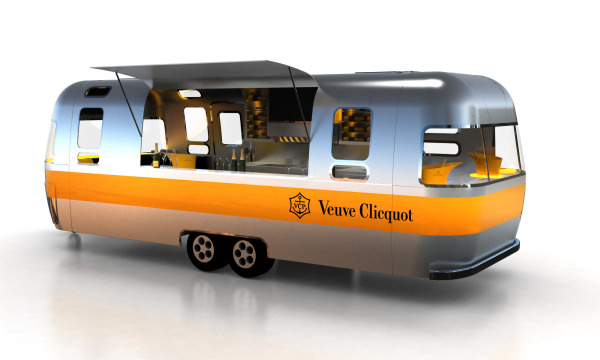 Veuve Clicquot –The custom Veuve Clicquot Airstream brought together two companies whose distinctive design and loyal communities and dedication to quality are recognized worldwide. The first-ever Veuve Clicquot Airstream toured the country from March to June, bringing a taste of champagne and the brand’s signature “zeste de folie” to cities across the nation. 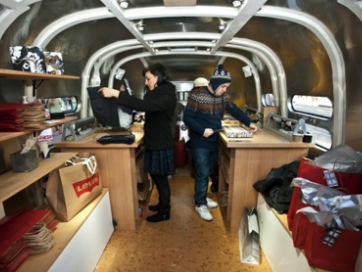 Levi’s Mobile Gift Wrapping – Levi’s Holiday Airstream made appearances at the brand’s flagship stores across the US, providing gift-wrapping services by trained gift wrappers free of charge. (RED) Auction – The 16’ Airstream Sport trailer custom designed by Jony Ives and Marc Newson was auctioned at the Sotheby’s (RED)™ Auction in November and raised $300,000 to fight AIDS in Africa. 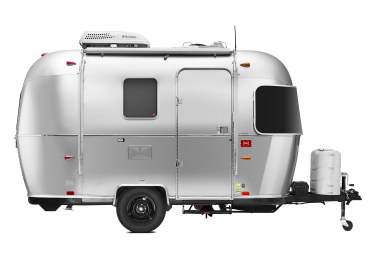 The Edition 01/01 Wally Byam Airstream 16’ Sport Travel Trailer features a custom interior and vintage-style wheels selected especially for this unique opportunity. 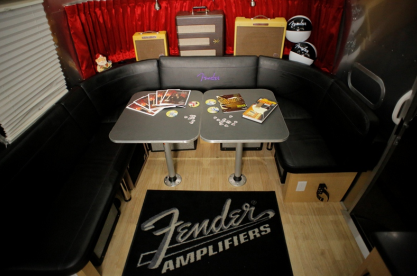 Fender Airstream – This custom designed Airstream is a backstage lounge and mobile recording studio that tours the country appearing at music festivals and industry events playing host to some of the biggest names in music. The Fender Airstream is also a place to capture artist interviews and live performances from music festivals nationwide.